In the 19th century, after a long period of isolationism, China and then Japan came under pressure from the West to open to foreign trade and relations. In the 19th century, after a long period of isolationism, China and then Japan came under pressure from the West to open to foreign trade and relations. 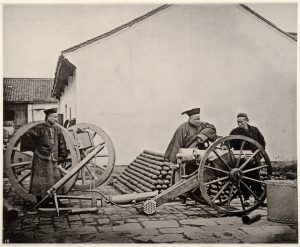 The Industrial Revolution in Europe and the United States had created a wide gap between them and the West, leaving the two Asian nations behind technologically and military. In that period, neither of them had the power to stand up to the Western nations, and eventually both had to sign unequal treaties that forced them to open their ports and cities to foreign merchants. However, the way this process happened in each country and their reaction to it were very different, attracting the interest of many historians (Lockwood, 1956). How could two civilizations apparently so similar to each other react so differently to the same historical event? This essay, therefore, will argue that the main differences in Japan and China’s response to the West in the 19th century were that Japan yielded to Western pressure to open to trade while China refused to, and that Japan successfully modernized while China failed to. It will also present as the reasons for the difference in initial reaction China’s lesser understanding of the West and the historical timing of the Western intrusion; and as the reasons for the difference in modernization Japan’s familiarity with borrowing culturally from others, the rise of its reformist elite, and its pluralistic political system. First of all, the way China and Japan reacted to the West’s increasing pressure to open to trade was very different. Both countries had long maintained isolationist tendencies, with limited commerce with the West. China welcomed foreign trade, but western merchants had no privileges there and were confined to Canton, where they could only deal with the Co-hong, a group of traders (Edwardes, 1973). Japan was even stricter, allowing commerce only with the Dutch, who had access to only one port, Dejima (Rosenberg, 1978). This situation was not to be accepted by the Western nations for long, however, and by 1834 Lord Napier was sent by Britain to pressure the Chinese into allowing a more open trade. The Chinese government rejected his requests, and animosity arose between the two nations, with Chinese mobs surrounding the merchants’ quarter in Canton (Edwardes, 1973). Tensions eased temporarily, but the situation precipitated due to the British illicit trade in opium. In 1839, the new imperial commissioner Lin Tze-hsu arrived in Canton and confiscated 20,000 chests of opium from the British. Further disagreements, especially concerning the British’s refusal to hand over to Chinese authorities a sailor accused of killing a Chinese man, led to an armed naval confrontation in November 1839. This marked the beginning of the first of the Opium Wars, which would result in Chinese defeat and the establishment of a system of unequal treaties (Edwardes, 1973) (Martin, 1968) (Fairbank and Reischauer,1989). Japan, on the contrary, was much more receptive to the demands of Western envoys. 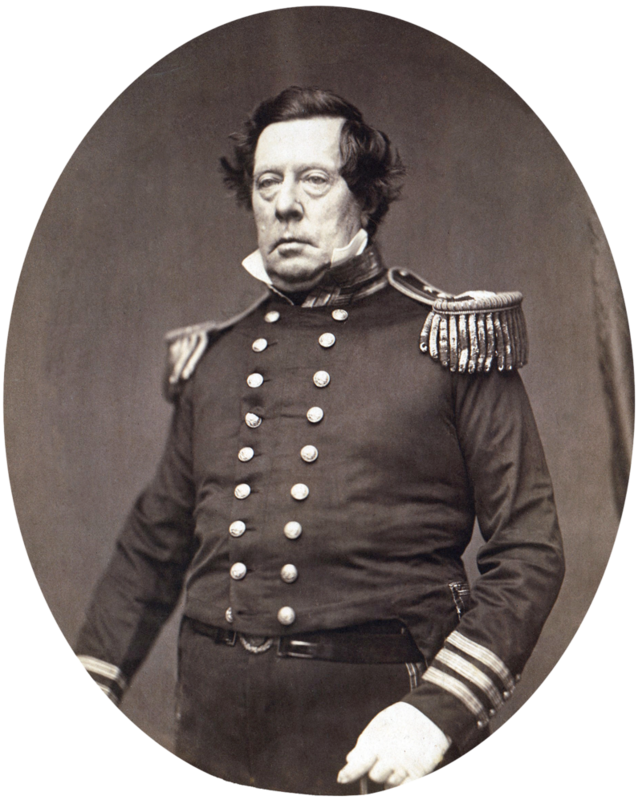 In 1853 Commodore Perry was sent by the United states to give an ultimatum to Japan to open its ports, and when he returned the next year the Japanese authorities accepted to negotiate with him (Storry, 1960) (Rosenberg, 1978). This was a very different attitude to that of the Chinese, whose “view of the non-Chinese world recognized no appreciable difference between merchants and governments. All were barbarians” (Edwardes, 1973, p.298), and therefore refused to recognize the threat represented by the British officials. In the end, treaties with the West, through which China and Japan’s long-lasting seclusion came to an end, were signed by both nations: the Treaty of Kanagawa by Japan (Hall, 1979) and the Treaty of Nanking by China (Martin, 1968). However, China’s treaty was signed after heavy military losses and under much more unfavorable terms than Japan’s, due to its refusal to acknowledge the superior power of the West. An important factor causing this difference of reactions to Western pressure between Japan and China was historical timing. 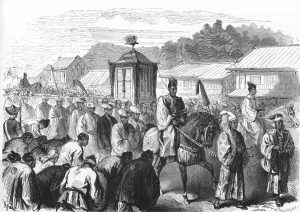 Western nations didn’t force Japan to end its isolationism until the 1850s, more than a decade after the beginning of the First Opium War in China. This was because they were already engaged in other parts of Asia, which created a “buffer” (Norman, cited in Moulder 1977, p.128), and because its lack of resources and demand for Western goods lessened Japan’s attractiveness to the West (Moulder, 1977). Despite its isolation, Japan was kept informed of what was happening abroad during the Opium War, and “the Dutch had repeatedly warned them through Nagasaki that they would have to accede to foreign demands” (Reischauer, 1978, p.119). Therefore, Japan was able to see first-hand the results of China’s defiance of Western demands, before it was its turn to respond to them. China, on the other hand, had no proof of Western military superiority and no previous examples to be guided by. Another reason was that China’s knowledge of the West was much more limited than Japan’s. China’s rulers discouraged scholarly dissent, preferring people to limit themselves to following orthodox texts. These texts had been copied again and again since the Ming dynasty, and therefore presented an outdated view of the world. And yet they were the only available source of information about the West, because contact with foreigners was restricted to the Co-hong in Canton (Fairbank and Reischauer, 1989). Therefore, the Chinese officials couldn’t understand the great changes that had occurred in the West during the Industrial Revolution, and that they faced not simple “barbarians”, but nations with superior military power (Martin, 1968). And, as a result, “the expansive West caught China by surprise, and ways of handling foreign relations which had worked reasonably well for four centuries suddenly became useless” (Fairbank and Reischauer, 1989, p.271). Japan was far more interested than China in gaining knowledge both about and from the West. Although Western books had been banned since the 17th century due to fear of Christian influence, starting in 1720 these laws were progressively relaxed until Dutch studies increasingly gained respectability (in part thanks to the works of Noro Genjo and Aoki Konyo), and by the end of the 18th century “there were students of the West in every part of Japan” (Keene, 1969, p.15). Even though Japan’s contact with the West was limited to the Netherlands, the shogunate, unlike the Qing rulers, not only allowed but also promoted learning about the West. It created the Institute for the Investigation of Barbarian Books, which in 1811 was an office in charge of translating Western texts, and by 1857 became a school of Western knowledge and languages. Scholars of Western knowledge were allowed to speak out and divulge information freely (Reischauer, 1978). It is not surprising, then, that the Japanese officials were able to more clearly assess their situation in relation to the Western powers than their Chinese counterparts, and to make a decision based on facts instead of prejudices. A second difference between the Chinese and Japanese responses to the West was that Japan successfully modernized and became an industrialized power, while China failed to do so. 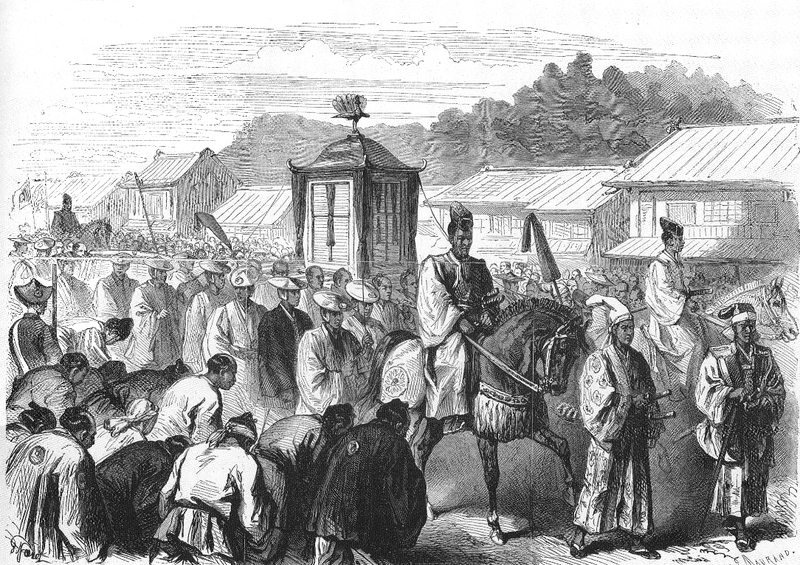 After the overthrow of the shogunate and the start of the Meiji Restoration in 1868, Japan’s new leaders recognized that to make Japan a world power, they would have to modernize with the help of the West. Thus foreign technicians were brought to Japan and increasing numbers of Japanese were sent to Western countries to learn from them. Feudalism was abolished, new taxation and coinage systems established, and Western infrastructure and institutions, such as banks and railways, adopted (Storry, 1960). China implemented Western innovations and attempted to modernize as well, starting after the suppression of the Taiping rebellion in 1864. However, this happened on a much more limited scale than in Japan; railroads, new weapons and other Western innovations were brought in, but they only affected a small part of the population and didn’t really change Chinese life (Fairbank and Reischauer, 1989). China’s rulers failed to understand that the achievements of the West had been the product of deep structural changes, and that “to modernize, it is necessary to adapt or change traditional institutions and ways of thought” (Edwardes, 1973, p.306). Therefore, modernization in China occurred only at a very superficial level (Edwardes, 1973). Japan, on the other hand, went so far as to change its political system by employing a Constitution that gave legislative powers to an Imperial Diet. The first cause of the difference in the results of China and Japan’s attempts at modernization was China’s lack of a borrowing culture as opposed to Japan. Being the biggest, most powerful country in its region had given China the belief that it was the center of civilization. All non-Chinese were considered barbarians, and thus their culture inferior (Hao and Wang, 1980). In Japan, on the contrary, “there has never been the disdainful indifference that has often characterized the Chinese attitude towards foreigners. The Japanese have never been too proud to learn” (Storry, 1960, p.104). Japan had adopted much of China’s culture and had had to contend with its neighbor’s greater strength for long, so multiculturalism and the existence of many powerful states was not a new concept for the Japanese. They had benefitted from adopting other cultures’ innovations before, and did so again with the West (Reischauer, 1978). A second cause was that in Japan a reform-minded elite took power, while China’s rulers were determined to preserve the traditional institutions. Japan’s decaying Tokugawa shogunate was overthrown in 1867 by a civil war that would lead to the Meiji Restoration, led by an elite of ambitious young people. The Meiji oligarchy, formed by extraordinary men like Ito and Matsukata, was committed to reform along Western lines for the benefit of the country, and worked towards it with energy and courage (Lockwood, 1956). In China, however, the ruling class was an opponent rather than a promoter of progress, being predominantly conservative. There were proponents of modernization in China’s upper classes, but their efforts were obstructed by the majority who saw too much innovation as dangerous. China’s ruling class was focused on “maintaining the power structure of the day and in using modernization only for personal and political aims within that structure” (Fairbank and Reischauer, 1989, p.336). Finally, the pluralistic structure of Japan’s government was a third factor in determining its more successful modernization. There was a centralized authority, but it was balanced by the existence of a clan system. Therefore, power was far less unified than in China, where the rigid bureaucratic system stifled capitalist initiative and competition. Divided between the ruling class, the landlord-scholar-gentry class, and the peasants, there was no space in Chinese society for a mercantile class to rise and drive the country’s industrialization. Japan’s flexible political institutions, on the other hand, allowed economic competition between different groups, and there was an incentive for members of the merchant class to seek power through wealth. The Western clans themselves led the wave of innovation unleashed by business competition (Fairbank and Reischauer, 1989) (Lockwood, 1956). In conclusion, we have seen how despite the similarities between these two civilizations, China and Japan responded very differently to pressure from the Western nations in the 19th century; Japan gave in to their demands for an increased opening of trade relations and successfully modernized, while China refused to break its isolationism and remained mired in the past, held back by its antiquated institutions. This essay has argued that Japan’s greater acquiescence to Western demands was caused by these demands coming later than in China and by Japan having more knowledge of the West. Japan’s borrowing culture, dynamic elite and pluralistic political system were given as the factors behind Japan’s more efficient modernization and industrialization. Although Japan is seen as having benefited more from contact with the West than China, the latter’s recent vertiginous economic rise, overtaking Japan’s, challenges this view. It remains to be seen whether it is too early to fully assess the effects of Western influence in East Asia since the 19th century. Craig, A. & Reischauer, E. (1978) ‘Japan’s Response to the West’ in Japan: Tradition and Transformation. Boston: Houghton Mifflin. Edwardes, M. (1973) ‘China and Japan’, in Johnson, D. (ed.) The World of Empires. London: Benn, pp. 289-333. Fairbank, J.K. & Reischauer E.O. (1989) China: Tradition & Transformation. Rev. edn. Boston: Houghton Mifflin Company. Hall, J. W. (1979) Japan from Prehistory to Modern Times. Tokyo: Charles E. Tuttle Company. Hao, Y. & Wang, E. (1980) ‘Changing Chinese views of Western relations, 1840-95’, in Twitchett, D. and Fairbank, J. (eds.) The Cambridge History of China. Vol. 2. 1st edn. Cambridge: Cambridge University Press. Keene, D. (1969) The Japanese Discovery of Europe, 1720-1830. Stanford: Stanford University Press. Lockwood, W. W. (1956) ‘Japan’s Response to the West: The Contrast with China’, World Politics,9(1), pp.37-54, JSTOR [Online]. Available at: www.jstor.org (Accessed: 27 Nov 2012). Martin, C. (1968) The Boxer Rebellion. New York: Abelard-Schuman Limited. Moulder, F. V. (1977) Japan, China, and the Modern World Economy. Cambridge: Cambridge University Press. Storry, R. (1961) A History of Modern Japan. Rev. edn. London: Penguin. 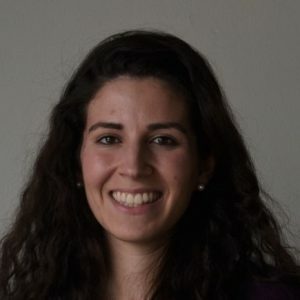 Originally published by E-International Relations under a Creative Commons Attribution-NonCommercial 4.0 International license. This entry was posted in China, History, Industrial Revolution, Japan. Bookmark the permalink.